Resurrection Sunday Worship, 6:30, 8:00, 9:30 and 11:11 a.m., 6:00 p.m.
Easter Sunrise Worship Service, 7:30 a.m.
Easter Sunday Service, 10:30 a.m.
Easter Sunday Service with the Daytona Solisti Easter Orchestra, 10:30 a.m.
Easter Sunrise Service, 7:00 a.m., on Front Lawn followed by breakfast at 8:00 a.m. Contemporary Easter Worship Service, 9:00 a.m. 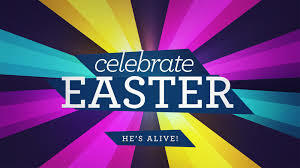 Traditional Easter Worship Service, 11:00 a.m.
Easter Worship Services, 8:15, 9:30 and 11:15 a.m.
Resurrection of the Lord Worship Services, 9:00 and 11:00 a.m.
Easter Breakfast and Egg Hunt, 8:00 a.m.
Easter Sunrise Service, 6:30 a.m.
Easter Services, 9:00 and 11:00 a.m. Under the Oaks Service, 7:00 a.m. The Well Cafe Worship Service 9:00 a.m. Sanctuary Worship Service 11:00 a.m.
Easter Worship Service, 10:30 a.m.
Easter Worship Services, 9:30 and 10:45 a.m.
Breakfast & Fellowship in Calvin Hall, 8:00 a.m.
RPC Annual Egg Hunt, 10:00 a.m.
Easter Sunrise Worship Service (with Hope and First, Kissimmee Presbyterian Churches, 6:30 a.m.
Easter Worship Service, 10:00 a.m.